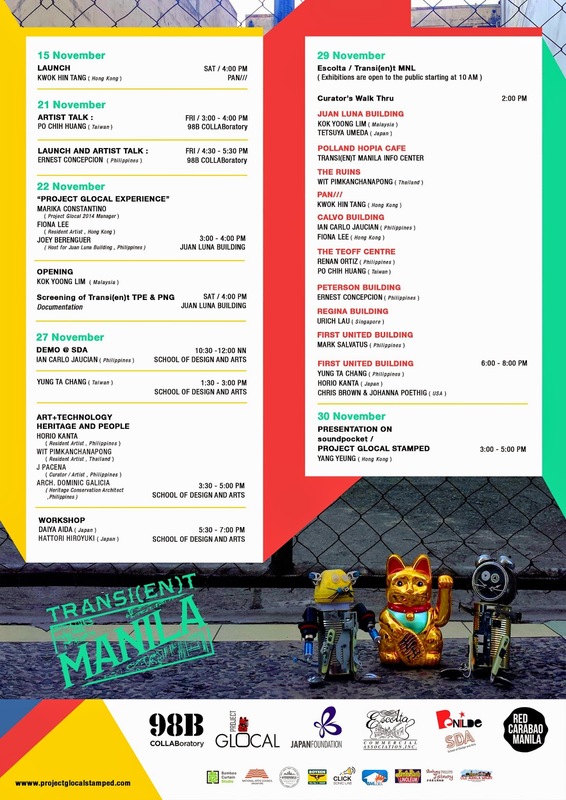 Want to stay updated with the Transi(en)t Manila's comings and goings? Check out the activities calendar posted here. 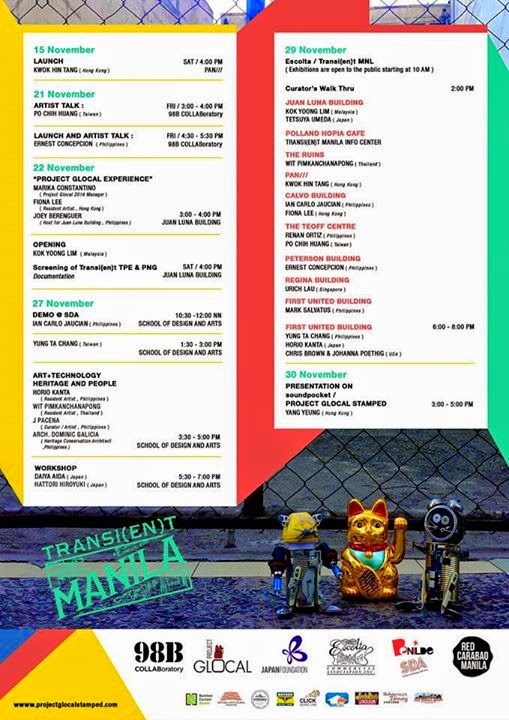 You can also keep posted through the Facebook events page here.